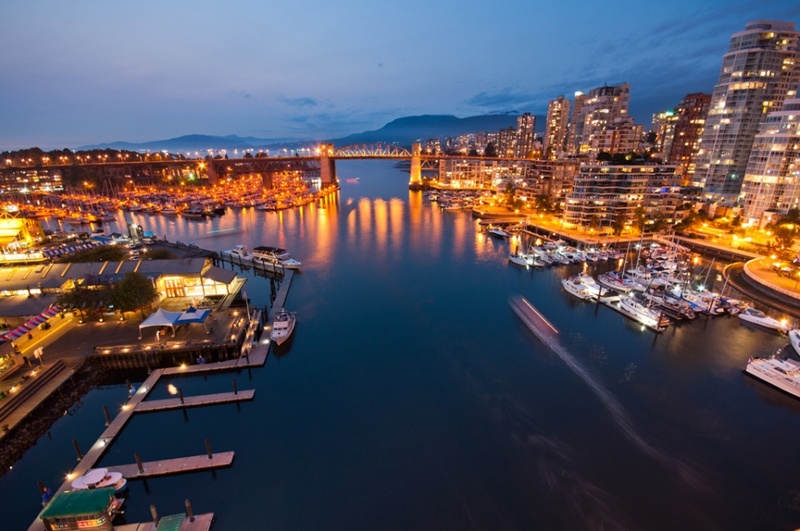 Vancouver has an excellent outdoor community; it’s no wonder kayaking is a huge interest there. The great thing about kayaking in Vancouver specifically is the fact that you can find a lot of different types of kayaking. Whether you’re into urban scenery, quite lakes, rivers, etc. There is something for you regardless. In light of that, we’ve tried to put together an eclectic list of places to kayak in Vancouver. Jericho Beach has a ton to offer. Really, regardless of what type of kayaking you’re into, Jericho Beach can probably help you out. Jericho Beach is a great seaside location west of the neighborhood of Kitsilano. The best time to kayak in Jericho Beach is April through October. The park tends to be a bit scarce other times of the year. If you don’t have a kayak, and you’re in the area, no worries! We recommend trying Ecomarine; you can find them at 1300 Discovery St, Vancouver, BC V6R 4K5, Canada or reach them directly at 604-689-7575. I tried to stay unbiased in this article, but I can’t help myself. This is my favorite out of the list, mainly because I’m obsessed with urban scenery. Also, this is just a fantastic day trip; there are so many places to see while kayaking False Creek. False Creek is full of various museums, excellent sites, and plenty of other people if you’re into that sort of thing. If you need to rent a kayak in False Creek, we’d recommend checking out Creekside Kayaks. They can be found at #1 Athletes Way, Vancouver, BC or you can reach them at: 604-616-7453. Deep Cove has been described by many as the best place to kayak in Vancouver. The great thing about Deep Cove is the isolation. If kayaking in an urban setting with lots of people around you (like False Creek) isn’t your thing, then Deep Cove certainly will be. The scenery is amazing, and the area is large. If you want some peace and quiet, this would be an excellent place to get away. 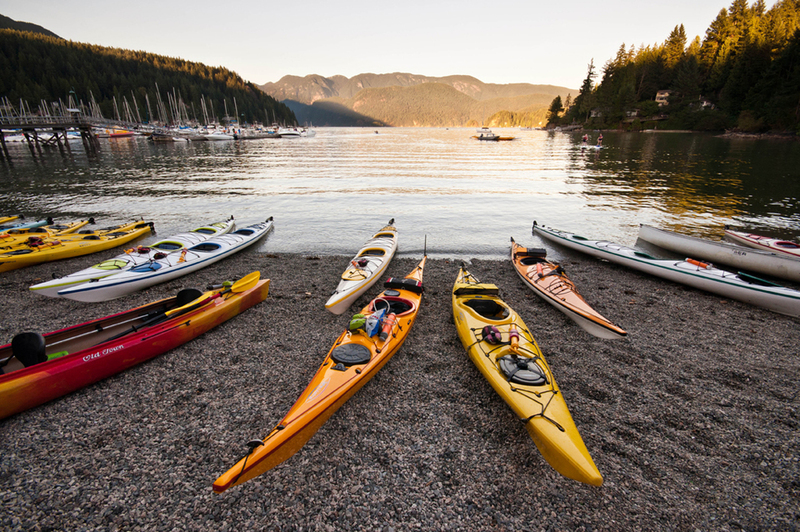 If you’re looking for a place to rent a kayak in Deep Cove, we recommend Deep Cove Kayak. They have an excellent selection; in fact, the photo above was taken right outside of their shop. They can be found at: 2156 Banbury Road, North Vancouver, BC, Canada V7G 2T1 or you can reach them at: 604.929.2268. Granville Island is located not far from Jericho Beach. This is a great place for beginner kayakers because the waters around the island are fairly calm. Also, there is a good amount of traffic around the island so if there is an emergency, you’ll have plenty of people around to help. This is another area for those who like to a more urban feel. There are plenty of things to see around the island and on the island itself. We definitely recommend this spot! If you need to rent a kayak near Granville Island, we one again recommend Ecomarine Paddlesport. They can be found on the north west corner of the island at 1668 Duranleau St, Vancouver, BC, Canada or they can be reached at 604-689-7575. Bowen Island can be reached in an hour from downtown Vancouver if you time it right. It’s a 20 minute ferry ride from Horseshoe Bay. The waters have been known to be a little more choppy the further out you kayak, so that should be noted. However, the scenery is simple amazing. There are mountains overlooking the island, excellent wild life, and great coves nestled around the island. Although Bowen Island is last on our list, it’s certainly not least. This is a great spot to launch the ol’ kayak and make a day trip out of it. If you need to rent a kayak around Bowen Island, check out Bowen Island Kayaking. They have great, competitive pricing and am ample stock of kayaking and other paddlesport accessories to choose from. They can be found at Bowen Island, BC V0N 1G0, Canada or they can be reached at 604-947-9266. There it is my friends; my list of the best places to kayak in Vancouver. If you have anything you’d like to see added to this list, I’d be happy to consider it, just shoot me a message here. Also, check out our other travel pages! Previous articleBest Ice Fishing Fishfinder: Gearing Up for Winter!